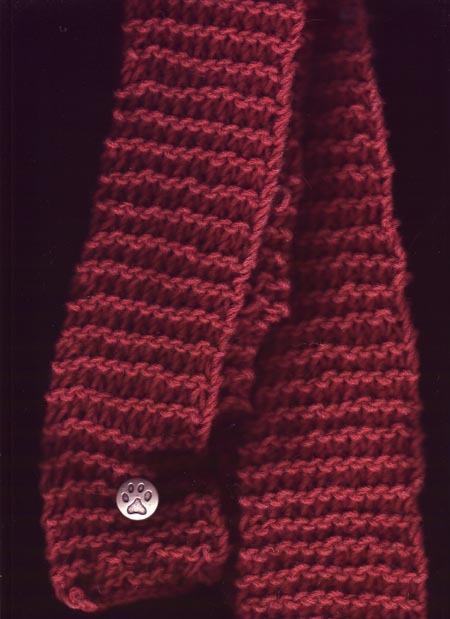 Had to share this neck scarf, made from yak and merino wool – Superyak by Karabella yarns. Kathy knitted it, complete with a pawprint button. When she gave it to me, it was nestled inside a piece of paper, made from a photo of yaks taken just outside Lakewood, Colorado. 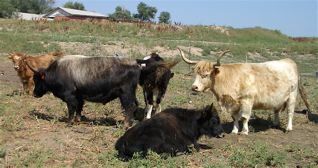 The ranch is on Quincy and Wadsworth…just south of the Sisters of Loretto Spiritual Center. Turn East onto Quincy and then north onto Pierce Street. The yaks are quite close to the fenceline unless it’s feeding time! Well, I finally saw a yak. 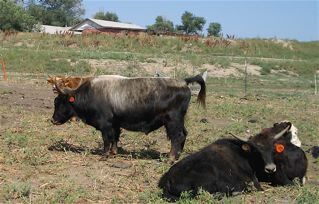 A great big beautiful black and white yak – or maybe a Dri (female yak). It had no horns; perhaps that is a trait of a Dri. It’s absolutely huge, like a shaggy black-and-white tank, and is placidly grazing on the newly-harvested field down the lane from my guest house. Tuchide and Jullay for the link, LhasaLhady! Holy Smokes! I go to my website. All these blogs must communicate with each other and our avatars and websites come up because we’re registered with a blog service. There’s additional things this blog is capable of, including tagging. As I’ve mentioned before, I’d like to figure out each of us can have an avatar..just for fun. Another feature I may have mentioned, but will again, is the search button. Search on a particular word or words – like fermented vegetables – and it will display only posts with those words. That merino wool rocks. That’s a great scarf. Awesome piece of clothing!